Ever since electricity was discovered by the ancient Greeks, the knowledge of what works with regard to electrical wiring, bonding, and fire protection has been evolving. From rubbing hardened tree sap on fabric to discovering Faraday’s Law, electrical knowledge continues to grow. As such, the National Electrical Code continues expanding its guidelines for electrical wiring. Whenever there is an industrial heating process, there is a risk of fire. Prior to the 2017 Code, there were few to no requirements in process air heaters, electrode boilers, strip heaters, and other non-personnel space heating equipment. This has imposed a substantial danger due to the close proximity of industrial and commercial heating to personnel spaces, as well as creating additional risk to property. Prior to 2017’s update, there were few to no requirements for the connection of photovoltaic cells to one another. While there was some regulation for local use, the modern trend of “solar farming” that contributes to the power grid at the utility level required an upgrade to the old code specific to this activity. Since many required components would not have qualified under the old code, this expansion was crucial to staying relevant. Energy storage is about more than fire prevention. Any kind of energy that is stored, such as kinetic devices like flywheels and compressed air, can pose a risk of sudden explosive energy release. This newly updated regulation can also apply to solar systems that use DC to AC inverters and batteries for power. The new energy storage regulation also applies to battery types that may evolve to serve the needs of systems that have not yet been developed, in an effort to stay current with rapid technological progress. As some companies and many consumers move into building their own “off grid” electrical systems, it is important to relate to spaces that are not connected to an AC power line. With data centers leading the way, microgrids have become important to global commerce and require their own special set of regulations. The NEC® addition of a direct-current microgrid subsection is an attempt to acknowledge and work with the changing needs of servers, computers, and other technology that uses independent DC grids. It has become apparent that in some instances, such as on panelboard lugs, torque values are required to be followed more rigorously than previous regulations have mandated. Because torque wrenches account for most of the occasions when an electrician applies the right amount of torque to an electrical termination, torque tools are now required. If you or one of your employees intends to connect something that requires a particular level of torque, Code now requires that an appropriate tool be used on every installation that meets the materials’ torque requirements due to reliability and safety requirements that were previously lax. For too long, service equipment was not required to carry sufficient safety markings. This led to electricians having to make less-informed choices with regard to what equipment to use on important service tasks. 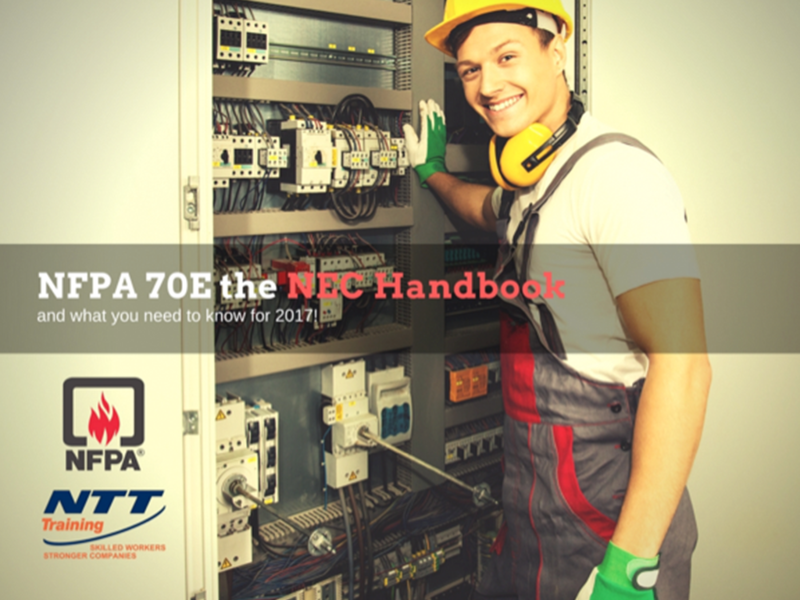 With the 2017 NEC®, there will be labeling requirements for variables such as arc-flash boundaries, nominal system voltage, and even site particular levels of required personal protective equipment. As well, reconditioning has come onto the radar. Improperly reconditioned electrical equipment represents a significant breach of safety, and being unable to trace what company performed the reconditioning can lead to substantial loss of property and bodily injury. The Code contains new rules specifying that the organization that reconditions any electrical equipment identify itself and the date of any reconditioning on new labeling. There are instances in which space under previous 110.26 regulations in the Code was simply not feasible, such as in suspended ceilings and in crawl spaces. Because many times strict adherence to spatial restrictions limited the use of electrical equipment beyond duct heaters, new regulation needed to occur. With the 2017 NEC®, new regulations mean that limited access to a space no longer prohibits potentially useful and safe electrical equipment from being installed there. The above are just a few of the challenges that the new Code works to overcome in 2017. With so many changes coming into play, it is important that your employees receive training on these changes. You need to check out the 2017 National Electrical Code and/or NEC Changes/Updates training from NTT Inc.
NTT Training Inc. carries accreditation from the ACCET Accrediting Council for Continuing Education and Training, which reinforces industry best practices of safety and effective productivity. As a third-party professional evaluation tool, ACCET accreditation means that your employees will receive training that will be beneficial in the field as well as keeping your legal and insurance liability to a reasonable level. NTT Training Inc. provides the top quality electrical education your employees need.